Showing results by author "Nina Shapiro MD"
There is a lot of misinformation thrown around today, especially Online. Headlines tell us to do this, not that - all in the name of living longer, better, thinner, younger. 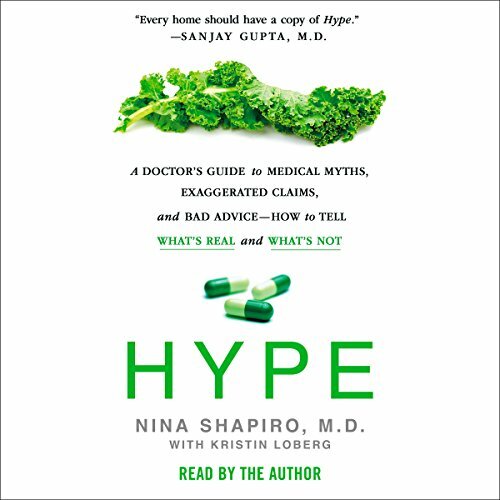 In Hype, Dr. Nina Shapiro distinguishes between the falsehoods and the evidence-backed truth. In her work at Harvard and UCLA, with more than 20 years of experience in both clinical and academic medicine, she helps patients make important health decisions everyday. She’s bringing those lessons to life here with a blend of science and personal stories to discuss her new definition of “a healthy life”. Balance is the key. Don't believe the hype.